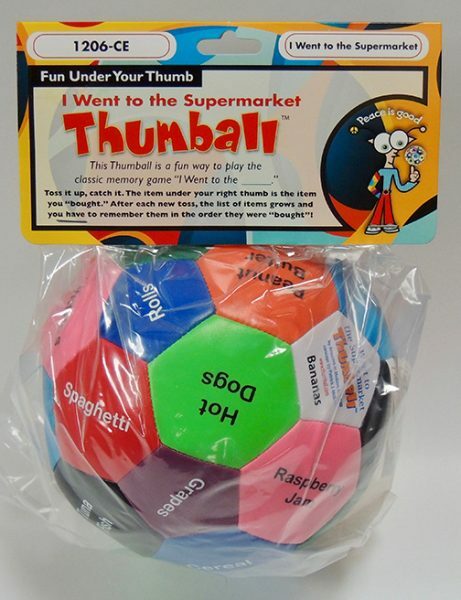 1206 I Went to the Supermarket Thumball (Size: 6 inches) NEW! 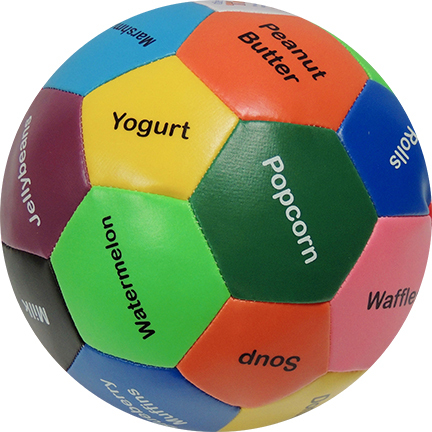 Multicolored 32 panel Thumball (6″). Age: 5 – adult. 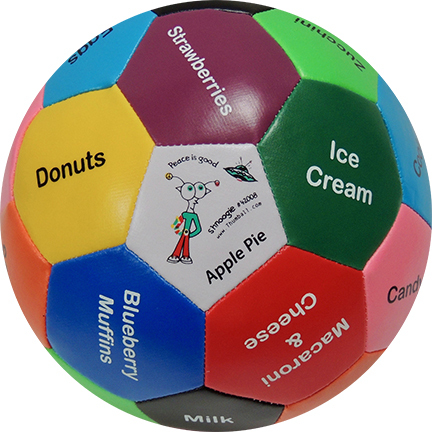 Toss it up, catch it. 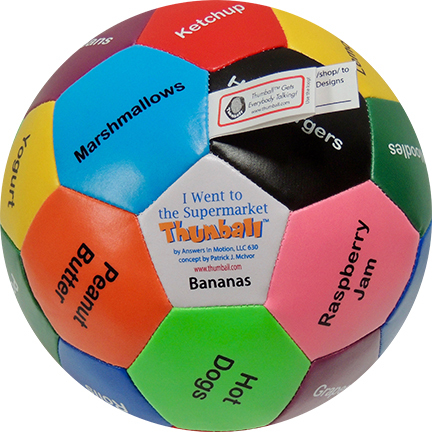 The item under your right thumb is the item you “bought.” After each new toss, the list of items grows and you have to remember them in the order they were “bought”! The first player tosses it up, catches it and whatever is under their right thumb is the item they “bought”… let’s say it’s “MILK.” That player says “I went to the supermarket and bought milk.” The Thumball is given to the second player who tosses it up and they discover they “bought” GRAPES. That player says “I went to the supermarket and bought milk and grapes.” And so on. The list grows and your memory is challenged! 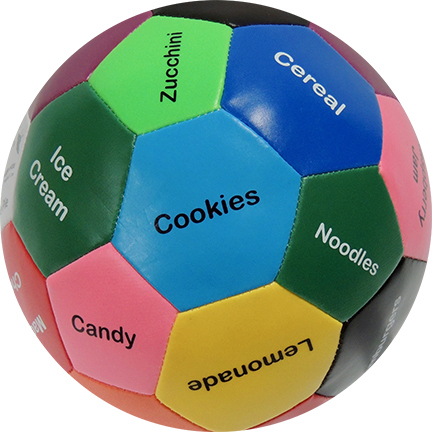 This Thumball builds memory skills by encouraging use of retention techniques like mental association, conceptual visualization and imagination. 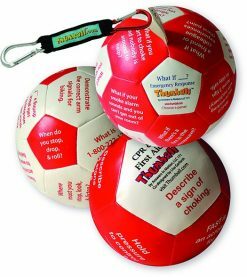 KEEP YOUR THUMBALL SECURE! DON’T CUT OFF THE LABELS! Write your name on the name tag label. Use the loop label for hanging or using the Thumball Carabiner Accessory. 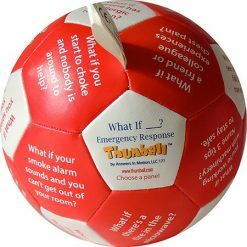 1703 Emergency Response Thumball (Size: 6 inches) NEW! 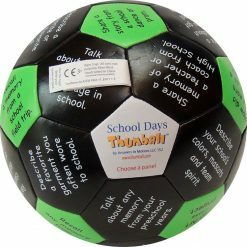 1014 School Days Thumball (Size: 6 inches) NEW! 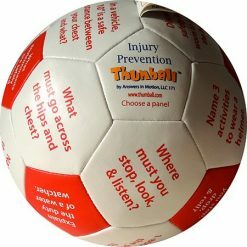 1702 Injury Prevention Thumball (Size: 6 inches) NEW! 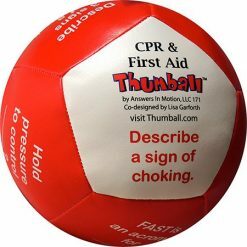 1701 CPR & First Aid Thumball (Size: 6 inches) NEW! 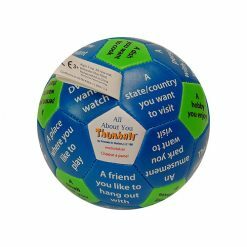 1012 All About You Thumball (Size: 4 inches) NEW!